Students of Hindi at the VSL Glen Waverley Centre also had a fun time celebrating the feast of Holi on Tuesday, March 19. Here are some photos. Nothing will able to stop our Greek students and teachers to celebrate a special festival – Easter. On Thursday 28 March 2018, Greek students and teachers at VSL Doncaster centre celebrated Easter with eager participation in different activities. Making Easter eggs – not Chocolate eggs! Students not only prepared the deep red dye traditional Easter eggs but also learnt the custom of cracking red eggs on Easter Sunday. Other students learnt Greek language authentically by reading and understanding the dyeing instructions on the package. Students also decorated an Easter candle to celebrate Easter. You can see the passion of learning Greek language at the VSL Doncaster centre! Holi is an ancient Indian festival and was originally known as Holika. It is also known as the festival of colours and friendship, where people playfully throw coloured powder on each other and say “Holi Hai” (meaning it is Holi!). Colour represents love, life, inspiration, innovation and creation. We celebrate the triumph of good over evil. Holi is predominantly celebrated by Hindus but the celebrations have also included other religions in India. Holi occurs on the full moon and is a celebration of spring and fertility. This colourful festival removes barriers and brings people together. Students at Hindi VSL Blackburn had a fun time celebrating Holi on Tuesday 19 March. 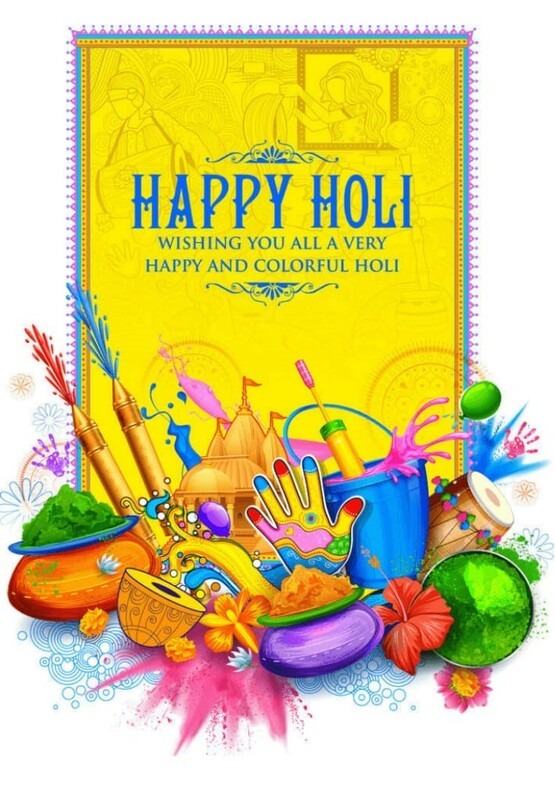 May you be blessed this Holi with many beautiful colours representing love, life and happiness! On Saturday, 23 March, a group of VSL teachers of Chinese, Hindi, Japanese, Korean, Persian, Punjabi and Urdu participated in the 2019 Department of Education stall at the Multicultural Festival held in Federation Square to promote Cultural Diversity and Excellence in Education as part of the DET Collaborative Sponsorship of Cultural Diversity Week 2019. The festival celebrated its 11th anniversary and 17th anniversary of Cultural Diversity Week. Our teachers volunteered to promote the excellence language learning that the VSL offer to students across Victoria to the estimated 45,000 visitors on the day with Centre and Distance Education information, as well as specific language based hands-on activities. It was a good opportunity for the general public to learn about the VSL as a complimentary language provider in Victoria with many teachers and other staff from various cultural backgrounds working collaboratively to achieve strong results.